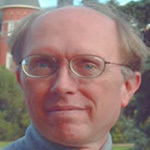 Carl H. Hauser is an Associate Professor of computer science with the School of Electrical Engineering and Computer Science, Washington State University (WSU), Pullman. His research interests include concurrent programming models and mechanisms, networking, programming language implementation, and distributed computing systems. For the last 10 years at WSU his research has addressed the development of distributed computing in support of electric power grid operations. Prior to joining WSU, he worked at the Xerox Palo Alto Research Center and IBM Research for a total of more than 20 years. He received his Masters and PhD degrees from Cornell University and his Bachelors from Washington State University.